The Republic of Korea (ROK) and five Central Asian countries (Kazakhstan, Kyrgyzstan, Tajikistan, Turkmenistan and Uzbekistan) have increased cooperation in various fields since the establishment of diplomatic relations in 1992. 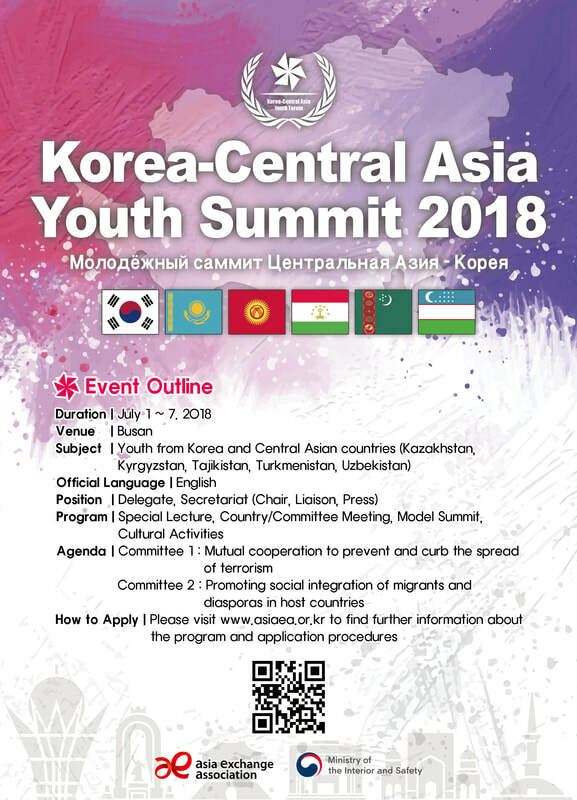 To raise awareness and deepen understanding of Korea-Central Asia relationship among the younger generation, the Asia Exchange Association (AEA) hosts the Korea-Central Asia Youth Summit (KCYS). KCYS aims to provide a stage where young leaders from Korea and Central Asia can share ideas and thoughts on global issues, and also establish networks through academic and cultural exchange activities.